The Audi PB18 is a technical showcase of what a future electric-powered supercar from Audi could eventually look like. 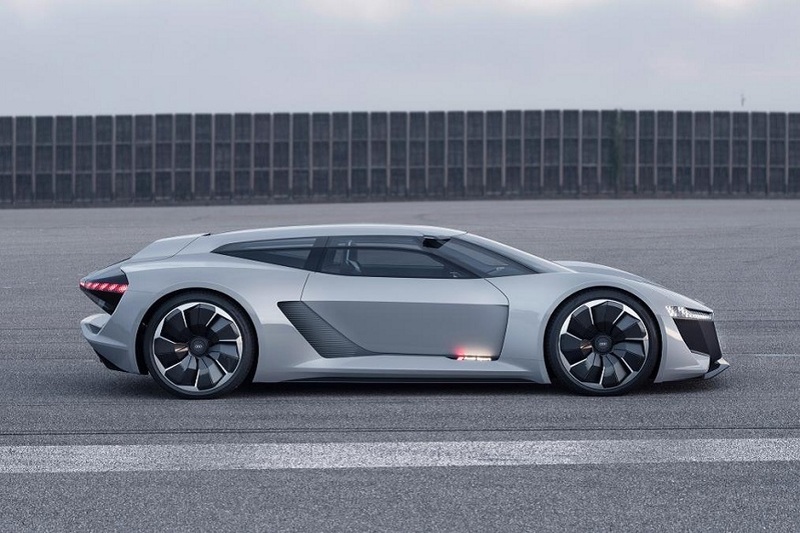 There’s an increasing number of brand new cars that get unveiled and rub shoulders with the many classics at Monterey Car Week these days, but it’s hard to think of many this year that are as modern or futuristic as the Audi PB18 e-tron concept that’s just revealed at Pebble Beach. Audi is well on the way towards introducing its first all-electric production models under its new e-tron designation, but the PB18 is a technical showcase of what a future electric-powered supercar from Audi could eventually look like. This stunning-looking model was designed by the team at Audi’s design studio located in Malibu, California, and it takes a healthy dose of its inspiration from Audi’s former LMP1 racing cars and the 2017 Aircon that was the company’s previous electric concept car. There’s also a hint of R8 at the front of the PB18 e-tron concept, but all comparisons with that car end when it comes to a side view as this one has more of a wagon look about it than a car like the R8. Although the design still looks incredibly sporty from every angle, it also helps to deliver a very un-sportscar-like 470 liters of cargo space in the boot. Perhaps the coolest feature of the entire car is the unique seating system that’s surely never going to make it into a production model anytime soon. In standard operation the car is a two-seater, but when it’s driven on the track the driver’s seat, steering wheel and pedals can all be slid into a central position. Of course, such a feature is only possible due to the car’s advanced electric drivetrain having no mechanical connection to the drive controls. The powertrain is made up of three electric motors driving all four wheels, and the combined power output is a very healthy 670 horsepower and 612 lb.-ft. of torque. Powering the motors is a 95 kWh battery offering up to 310 miles of driving range on a single charge, which thanks to an 800-volt charging capability can be recharged in as little as 15 minutes. It can even be recharged wirelessly, so there’s no need for the hassle of attaching a cable. How close this concept is to anything Audi is considering putting into production is anyone’s guess right now, but the only thing that might put anyone off this sensational car if it was offered for sale would be the price of such futuristic magnificence.